Whether you like it or not, your work kakis are some of the people you spend most of your day and time with. So why not go the whole way and do something fun with them once you've clocked out too? Karaoke is probably most Singaporeans’ favourite past time. 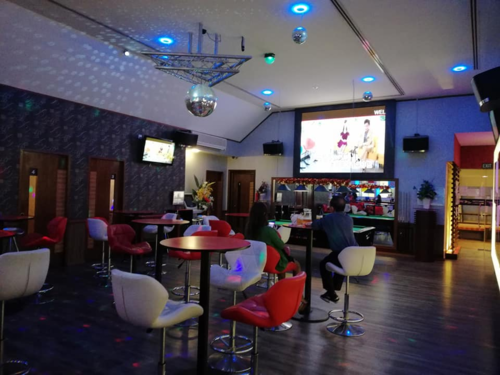 Luckily for those working in Pasir Ris, Aranda has blessed us with an affordable KTV club. Other perks include a free flow of hot and cold drinks - which proved to be handy when you’re spending more than 3 hours trying to outsing your buddies. You can sing to Korean, Chinese, and Japanese songs here - in addition to popular English songs. But beware! Aranda is usually booked during Thursday and Friday nights. If you’re unable to secure a booking, there is a Teo Heng karaoke centre right around the corner (at Downtown East). Click here for full price list and details. Wanna go paktor with that cute office girl - but can’t decide what to eat? We've got you covered bro. Pasir Ris has a multi-story hawker centre located near its MRT station. You can expect to find standard hawker centre fare here like duck rice and prawn noodles. 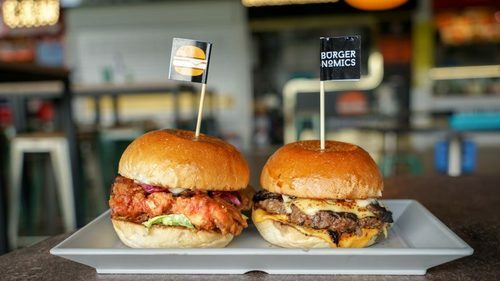 But other nice stalls to eat from including Burgernomics (approx. S$10 per person), Wild Olives (approx. S$10 per person), and Tian Tian Xiang Shang Spicy Ma La Hotpot (approx. S$10 per person). 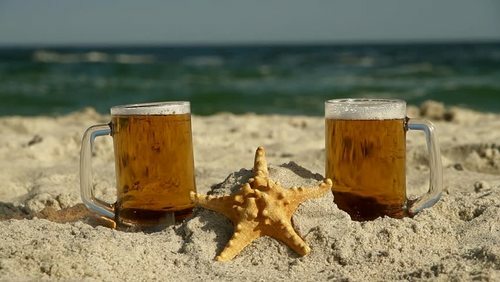 Personally, I find that there’s nothing more relaxing than kicking back with a couple of beers, with people I cherish by the beach. What more can I ask for? Well, good food too apparently, if I’m dining at the Ohana Beach House. If you enjoy alcohol, a game of darts, and the idyllic forest at night. Hey, we’re not judging! Then, Forest Darts Cafe is the place for you! On weekday nights, the Forest4 Darts Cafe at Downtown East can be relatively empty. This makes it the perfect spot for if you’re looking to unwind with your work buddies, drink, play darts, and gossip about other coworkers in peace. Our favorite way to spend time at Forest4 is by playing the affordable dart machines. Plus, there’s nothing like a little friendly competition between co-workers to encourage comradeship. Price: From S$20 per person. If you’re not a fan of drinking and the nightlife, why not spend the night out prawning with some of your best work pals? Aquarium Irwana is a little “ulu” but at S$10.50 for one hour of prawn catching, we’ll say that the travel time is worth it. 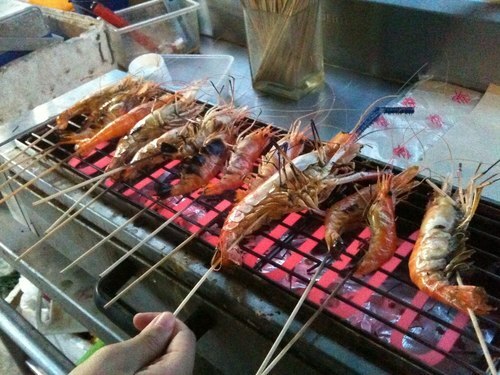 One of the best perks of prawning here is the access to the grill - for you to grill and devour your fresh catch. I mean, there’s nothing better than ending the night with some good Spotify music, cold beer, and hot prawns, right? Pro-tip: For something a little closer to society, check out D’Best Fishing at Pasir Ris Park. It’s slightly pricier but is about a 10 - 15 minute walk away from Pasir Ris MRT station. 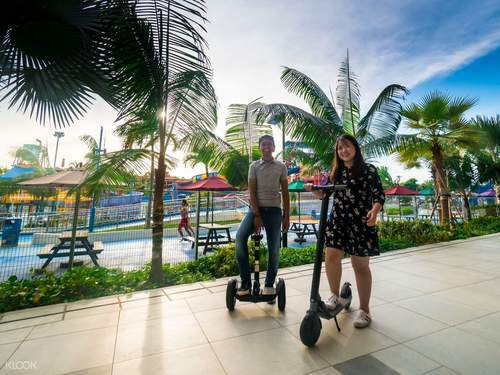 Zoom your way through the nature trails of Pasir Ris with a Segway. Or if you're feeling extra lazy from that hard day at work, rent a motorized scooter and scoot your way through Downtown East after a hearty meal there. Either way, the idea of not having to walk sounds like a treat to me. Click here for full price list and more information. You don’t have to travel all the way to the Singapore Zoo or Sentosa to feed adorable bunnies and ride ponies. There’s a stable available right here, in the Paris of Singapore. We recommend heading here with your kids or your childish friends to play with horses and experience nature, all at one go. Gallopstable is also conveniently located near Pasir Ris beach, so why not add a nighttime barbecue session to end the day? 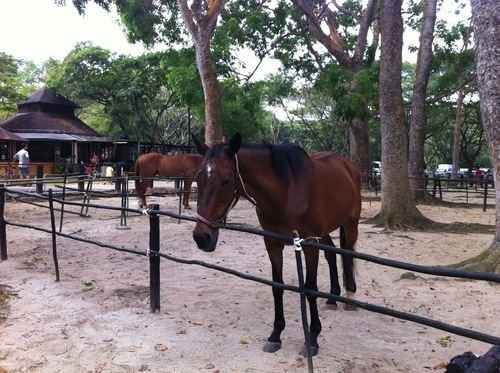 Price: S$2 per feed packet (for bunnies and ponies) and up to S$120 for an hour long trail ride. 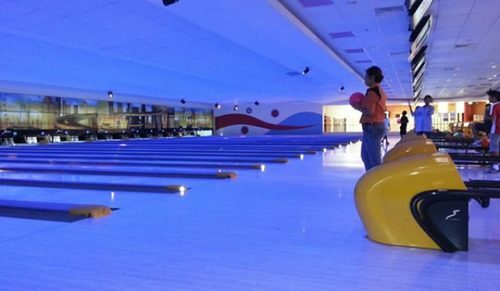 Like karaoke, bowling is an activity that’s fun for all ages. There’s nothing too hard about rolling a heavy 5kg ball to see who can knock the most white pins down. And if it is too hard for you, Orchid Bowl can provide you with dragon ramps, used to help children bowl better (but we won’t judge). I highly recommend visiting the Orchid Bowl after a day spent OT-ing at your job. Orchid Bowl tends to get crowded during the weekends, so if you are heading there on a Saturday, I highly recommend that you book your slot beforehand. Price: S$20 per hour (per person). Prices do not include shoe rental. Are you very broke but also very bored? 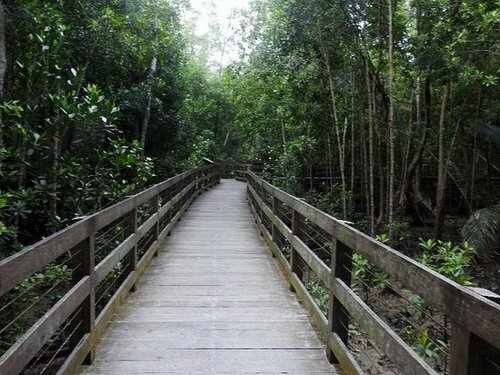 A fun (and free) activity that you can do is walk through Pasir Ris’ mangrove swamp during the evening. As someone who spent time wandering the mangroves and reservoirs of Pasir Ris, I’ve seen my fair share of wildlife including adorable otters, beautifully patterned moths and a cacophony of colorful birds. Some say that you can even see fireflies near the mangrove - but it’s a sight reserved for only the brave! You’ll have to turn off all lighting equipment, and yes, that includes your phone to see them. If you’re looking for something a little thrill-seeking, why not go ghost hunting over at Pasir Ris’ mangrove park. After all, the town is home to the legendary ‘Red House’, which has since been converted into a pre-school. Price: Your bravery. Otherwise, it’s free of charge. We don’t have summer vacations here in Singapore, because well...the weather’s hot all year round. Which means that you can go to the waterpark all year round! 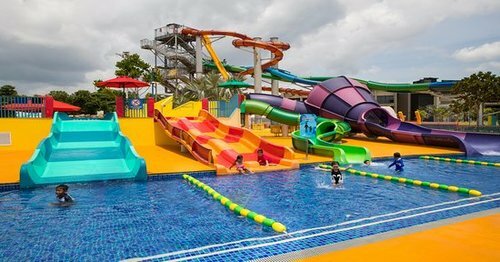 If Sentosa is too far for you, consider commuting to Wild Wild Wet at Pasir Ris instead, since, you’re already commuting to Pasir Ris on work days. There’s also a ton of fun activities to do here! I mean, it’s a water park. If a water park can’t convince you to accept that job offer near Pasir Ris, then I don’t know what else will. Price: S$24 (off-peak) - S$32 (peak) per person (for adults aged 13 and above). Are you a student or a millennial searching for your next gig? As a recruitment agency, BGC Group Singapore has a variety of positions on offer ranging from full-time to temp positions. More jobs available on BGC’s job portal.